Find the most entertaining rock bands in PA. Enjoy the best rock bands in Pennsylvania. A Favorite Classic Rock Band in West Chester, PA! A versatile rock band in West Chester, PA; Paradox delivers fantastic covers from such rock legends as AC/DC, Aerosmith, Black Crowes, Black Sabbath, Eric Clapton, Guns & Roses, Judas Priest, Led Zeppelin, Motley Crue, Van Halen, and the Rolling Stones. Playing the best rock songs from the past three decades, Paradox is sure to keep your crowd dancing and singing all night long! The band's shows feature excellent quality sound, as well as a high-quality light and sound show using state-of-the-art equipment. The Pennsylvania rock band is adaptable to many different age groups and audiences, and guests have raved about their friendly and accommodating attitudes. Get a Triple Dose of Rock 'N Roll in PA! 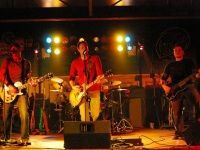 A five-piece rock band in Milton, Pennsylvania; Triple Dose delivers a delightful mix of old and new acoustic rock tunes. The band thrives on interactive crowds who are willing to get close to the stage, hold their beers up in the air, and dance the night away! Bob your head to rockin' songs from the 1980's until today! 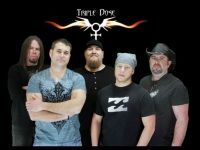 Triple Dose performs gigs in Milton, PA and surrounding areas. Cherish an unforgettable experience with one of the best rock bands in PA! Great Rockin' Tunes from the 80's until Today! 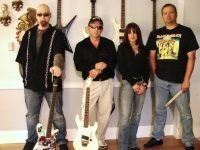 Enjoy popular rock tunes from now and then by booking Armed and Ready, one of the coolest rock bands in Pennsylvania! 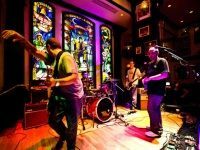 Based in State College, the band delivers a truly unique rock experience, offering tunes from the 1980's through today. The band consists of rock 'n roll veterans who've played for over 20 years with several great bands in the area. Their set lists contain favorites from rock artists like Ozzy Osbourne, Metallica, Judas Priest, Motley Crue, Poison, Iron Maiden, AC/DC, Velvet Revolver, Billy Idol, Kiss, Joan Jett, and Aerosmith. One of the Best Christian Rock Bands in PA! 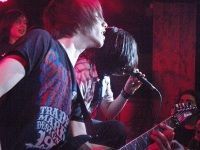 Playing everything from power pop to alternative to punk and Christian rock, Skyhawk Drive takes its audiences by storm with their high-energy shows. Their songs primarily center on life and love from a Christian world view. 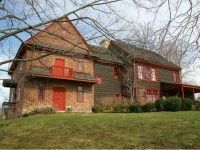 Having built an impeccable reputation in the mid-Atlantic region over the past four years, Skyhawk Drive is now branching out nationally. All shows are approximately 1 hour and consist solely of original tunes. The band members are highly personable, as they love to interact with the crowd before and after they perform. The Premier Fleetwood Mac Tribute Band in Western PA! The Chain (a.k.a. 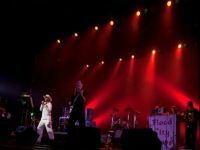 Harder Edge) is a tribute band that pays homage to one of the best bands in rock history: Fleetwood Mac! The band has been a huge hit with all their audiences. Hence, The Chain has performed to sold-out crowds since they've started the band. Over the last 20+ years, the band has produced 4 CD's. Log onto their official website to listen to samples of their renditions of such beloved classics as Say That you Love Me, Gypsy, and Don't Stop. Book the original Fleetwood Mac tribute band in Western PA for your next event! One of the Best Classic Rock Bands in Central PA! 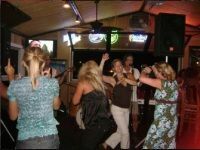 Are you searching for a professional cover band for your next party, event, or private function? Book Silver City, the premier classic rock band in the Central PA metropolitan area! 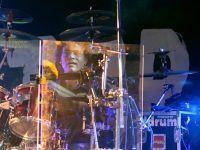 The band members are gifted with nearly three decades of performing rocking hits for venues in PA and other areas in the East Coast. Some of them have been playing professionally for over 35 years! A favorite choice at local bars and restaurants, the band plays covers from such greats as Chuck Berry, The Beatles, Eric Clapton, Lynyrd Skynyrd, Neil Young, and Aerosmith. They'll even toss in a few original tunes! An Awesome Modern Rock Trio in Philly! A three-piece modern rock band in Philly, Star 69 Band boasts a diverse selection of material that makes it unique amongst other rock bands in the area. Bringing a modern take on the three-piece band, the talented trio brings a full sound that hits hard and clean. The drummer, Kevin Soffera, had done national tours with such popular bands as Seether and Breaking Benjamin. Star 69's set lists include covers from alternative bands like Staind, Pearl Jam, Everlast, and Fuel. Pennsylvania rock bands don't get much better than this! Bringing Cool Rockabilly Tunes to the Delaware Valley! 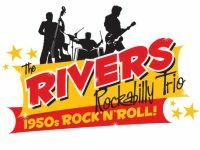 The Rivers Rockabilly Trio has graced numerous public and private events throughout PA's Delaware Valley. The amazing band specializes in rockabilly tunes from such famed recording artists as Carl Perkins, Bill Haley, Elvis Presley, Buddy Holly, Eddie Cochran, The Everly Brothers, Johnny Cash, and Chuck Berry. The Rivers' shows are entertaining, engaging, and family-friendly. Each gig lasts 30-180 minutes. 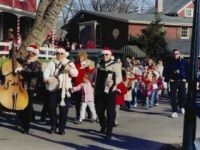 The band is available for such events as parades, music festivals, community events, fund raisers, children's shows, school assemblies, reunions, birthday parties, and weddings. An Acclaimed Rock Band in Pittsburgh! 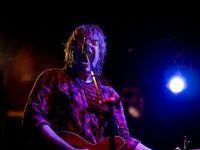 Together for over a decade, Mercury has performed hundreds of awesome rock shows throughout the Pittsburgh area. With 2 previous albums and a new E.P. on the way, the band continues to crank out catchy tunes that keep its fans rockin' and rollin'. The acclaimed Pittsburgh rock band has played at several popular venues in the area, like The Hard Rock Cafe and The Altar Bar. If you're interested in booking one of the best rock bands in Pennsylvania for your next event, log onto Mercury's website and fill out your name and e-mail address. You can also contact the band via Facebook or MySpace. One of the Most Sought-After Rock Bands in Philly! 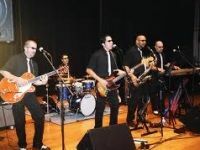 Established in 1995, The Mango Men have become one of the most requested and sought-after bands in the Greater Philadelphia region, averaging 80 to 100 shows a year! The band celebrated the release of their first all-original CD, Everyday's a Saturday, in May 2009. Songs from the CD have been played on several Internet radio stations. The Mango Men appeal to a wide variety of audiences, with their energetic and interactive shows. All the band members take pride in never failing to give their 200% on stage. The band's repertoire includes genres like rock, pop, and country. If you're interested in booking them, the band is willing to travel up to 3,000 miles from Chalfront, PA.
One of the Top Rock Bands in Eastern PA! Are you ready to rock with Southeastern PA's premier classic rock/dance band? Never failing to get its crowds up on their feet, the Pennsylvania classic rock band plays such hits as If the House is Rockin', Pink Cadillac, Black Magic Woman, No Matter What, Movin' On, and Gimme Three Steps. The rock veterans have been performing in the Southeastern PA area with a slew of bands for over 20 years. Many of the members have even opened up for acts like Crash Test Dummies, Sara Evans, Natalie Cole, The Platters, and Lonestar. Musical Chaos proudly performs for private events, corporate parties, carnivals, club venues, and other events. A Family-Friendly PA Rock Band! A nine-piece rock band from Johnstown, PA; Flood City Brass features male and lead female vocalists, keyboard, guitar, bass, drums, trumpet, saxophone, and trombone. The family-friendly rock band in Pennsylvania has played for numerous dances, weddings, corporate events, fund raisers, picnics, festivals, and concerts. Flood City's repertoire has included favorites in the rock, soul, funk, pop, R&B, and dance genres. The band serves the areas of Johnstown, Pittsburgh, Somerset, Greensburg, Ligonier, and State College. Are you ready for the Best in Classic Rock? Based in Pittsburgh, Rock-It wows its audiences with the best in classic rock, as well as some "future classic rock." 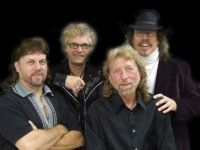 The Pennsylvania classic rock band covers tunes from such renowned artists as The Beatles, Alice Cooper, The Who, Rolling Stones, Eric Clapton, Lynyrd Skynyrd, Stevie Ray Vaughn, The Doors, AC/DC, The Eagles, and Judas Priest. Established in 1993, Rock-It's main objective is to put on the best show possible... and, of course, have a total blast! Acknowledging that playing in a local rock band is not a high-paying job, the band possesses a true passion for the magic of rock 'n roll! A Great Scranton Rock Band! 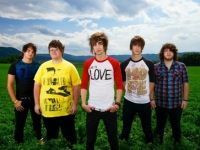 Heartbreaker is a topnotch rock band in Scranton, PA that performs fantastic, high-energy classic rock and party rock tunes, along with the latest rock hits. The band plays favorites from such artists as 3 Doors Down, AC/DC, The Black Crowes, Bryan Adams, The Doors, Journey, Kiss, Led Zeppelin, Metallica, Rolling Stones, Van Halen, Aerosmith, Bon Jovi, Bruce Springsteen, Eric Clapton, and Ozzy Osbourne. The lead guitarist also produces original rock tunes, and you can check out his music on his website, www.boboister.com. For your next event, book one of the coolest rock bands in Eastern Pennsylvania! The Hottest 80's Rock Band in Pittsburgh! Glitz is Pittsburgh's hottest 80's rock band, cranking out vivacious tunes from such artists as AC/DC, Alice in Chains, Beastie Boys, Bon Jovi, Cinderella, Def Leppard, Dokken, Guns 'N Roses, Jackyl, Judas Priest, Kiss, Metallica, Motley Crue, Poison, Quiet Riot, Ratt, Skid Row, Twisted Sister, Van Halen, Warrant, and Whitesnake. The list goes on on! Log onto Glitz's awesome website. You will find a guestbook filled with comments from fans, who've raved about the band's spectacular performances at venues throughout the Pittsburgh area! A Quartet of Veteran Rockers and Local Music Legends! Based in Pittsburgh, PA, Lost Souls consists of an amazing group of veteran rockers and local music legends, who perform both originals and covers. You'll hear everything from classic rock to modern rock, and everything in between. The band has performed for various charity events, outdoor concerts, and other appearances in Pittsburgh, Ohio, and surrounding areas. Established in 1996, the quartet believes in producing music they truly believe in. All their songs and harmonies have a live-biting edge and trance-like sound like no other. That's why they're one of the most exciting live rock bands in PA! One of the Great Original Rock Bands in Philly! An original rock band in Philadelphia, the John Salamone Band brings a unique sound to the PA music scene. The band is led by singer/songwriter/guitarist John Salamone, a prolific artist who's been singing since the age of 7 and has written hundreds of songs in many different styles. The band recently released September Songs, an album featuring 11 tracks and is a collection of songs from the first two years of the band's career. Hear everything from riff-rock to moody and melodic ballads with blues undertones. An Eclectic Mix of Older and Current Rock Hits! Whether you're seeking entertainment for parties, dances, or other cool events--Hard Choice is guaranteed to rock the house! Hear an eclectic mix of covers from artists like Elvis, Bon Jovi, AC/DC, Dio, Black Sabbath, Nirvana, Nickelback, and Neil Sadaka. The band is equipped with multiple-sized stage setups, allowing them to perform at the smallest or largest venues. With a spectacular light show and a multitude of props, Hard Choice is sure to deliver a performance to remember. Arguably one of the best rock bands in Central PA, they always keep their fans coming back for more and more! One of the Coolest Pennsylvania Alternative Rock Bands! A power pop/alternative rock band from Pittsburgh, Satin Gum has shared the stage with such prominent rock artists as Jesse Malin, Frightened Rabbit, and Smith Westerns. The band's songs have even been featured on TV shows, like The Good Wife on CBS. 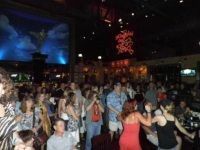 The band plays at venues throughout the Pittsburgh area, including The Altar Bar and Lava Lounge. Satin Gum digitally released their first full-length album, LP, in August 2009, which was then followed by a CD release in September. View the website to purchase CD's and digital downloads of their music, as well as T-shirts. An "Electrifying" Classic Rock Band in PA! Rocking without caution, Haphazard started electrifying the music scene of Eastern Pennsylvania in 2008. Since then, their high-energy and interactive live rock shows have pleased droves of fans. Primarily focusing on classic rock tunes; Haphazard plays songs from such renowned rock artists as Led Zeppelin, Journey, Bon Jovi, Rush, Alannah Myles, Bryan Adams, Van Morrison, Black Crowes, Guns 'N Roses, AC/DC, Aerosmith, Fleetwood Mac, and .38 Special. The band plays at various bars and venues in Eastern PA approximately two Saturdays a month.